It’s Serious Whimsy Wednesday, but I’m not in a whimsical mood today. I haven’t been in a whimsical mood for more than a week. I did feel a bit cantankerous when I got to thinking how things might have turned out differently if the Black Lives Matter group had availed itself of a competent public relations consultant. Bear with me. Our country is being torn apart along racial lines, with an alarming degree of anti-police violence that I have never seen before in my lifetime. It is heart breaking, considering how far this country progressed with race relations when the black community had leaders like Dr. Martin Luther King, Jr., and Medgar Evers, and how far race relations in this country have regressed under this nation’s first black president. The contrast is striking and disturbing. All the sacrifices King and Evers made, all the gains they made, all the victories, were all squandered by a president who had the best chance to bring this country’s people even closer together but instead has driven them farther apart. King and Evers must be spinning in their graves. A black man—an avowed militant racist whose stated objective was to kill white people and to kill white police officers in particular—assassinated five white police officers in Dallas, Texas, while those officers were protecting a large group that was marching to protest alleged police bias and racist targeting of black men. How ironic was that? How heartbreaking? The officers in the protection detail wore no protective or riot gear in order to be non-threatening to the protestors. They even interacted with the protestors in a friendly manner. They behaved in the professional, unbiased way the assassin and the protestors would have them behave, but the assassin bushwhacked the officers anyway as they ran toward the gunfire to save the lives of the people protesting against them and their brothers in blue. More irony. More sadness. As we learned later on, the assassin ambushed the officers in retaliation for the allegedly racist police shootings of black men in two other states, cases still under investigation. Yet, the assassin chose to punish the Dallas police for those incidents of perceived injustice despite the fact that Dallas has a model, professional, diverse police department that follows Justice Department guidelines. Still more irony. Still more disbelief. Dallas Chief of Police David Brown, a strong, professional and compassionate leader, made a plea to the protestors to leave the protest line and become part of the solution. He said the Dallas Police Department was hiring. I haven’t heard if the job offer had any takers as yet. The more outspoken and most militant of the activists, the Black Lives Matter movement (#BLM), appeared to prefer holding onto their hate. The group’s chosen name, Black Lives Matter, was exclusive rather than inclusive. It was “in your face” threatening rather than inviting and welcoming, and it implied that other lives do not matter. It was offensive and it turned a lot of people off—except for pandering, vote-seeking politicians, of course. The group would have done better to choose the name All Lives Matter, but they didn’t. The group’s knee-jerk reaction to call it racist when someone else created the All Lives Matter hash tag was another misstep. Again, #BLM stuck its cyberfoot in its mouth. 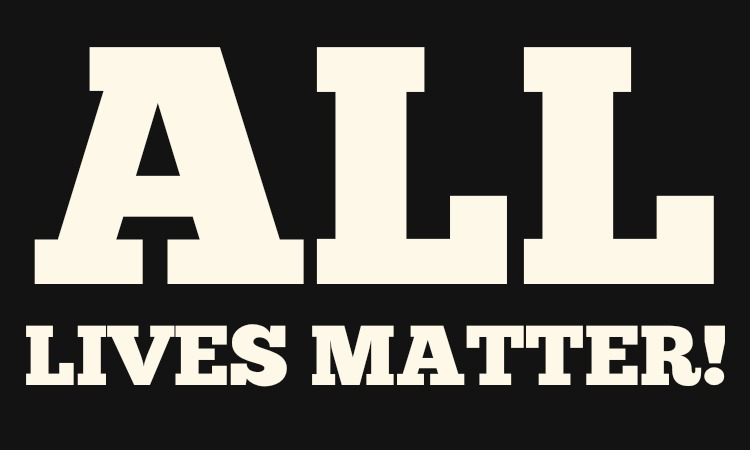 By insisting #AllLivesMatter is racist, the group proved itself racist by implying people of other races and nationalities do not matter. Offensive once again. #BLM accused all police officers of being racist and discriminating against blacks—black men in particular. It was an over the top, hugely exaggerated claim that researchers have disputed with statistics rather than emotional outbursts. False claims destroy credibility and turn away prospective sympathizers and supporters. People don’t appreciate being lied to, and they don’t want to be associated with liars. Can’t trust’em. In addition to false claims about the statistics, false narratives also damaged the cause. During the Ferguson investigation, it was proved that Michael Brown did not have his hands up and was not surrendering. The false narrative of “Hands Up, Don’t Shoot” persisted, however, further injuring the credibility of #BLM. The more lies you tell, the more you’ll have to remember, and the less you’ll be believed. #BLM protestors marched down the street chanting the following slur and threat against police officers, “Pigs in a blanket. Fry’em like bacon.” There were calls for the death of police officers at the sites of other marches also. At that point, I’m disgusted and thinking these are dangerous people. They’re calling for the deaths of police officers and someone may take them seriously. Whatever sympathy I might have had is long gone. #BLM should have reconsidered their incendiary chants. You don’t want to disgust and alienate your audience—unless you’re filming a gory horror movie. #BLM visited the president in the White House. They had the president’s ear. They could have spent that presidential capital to give their movement legitimacy. Instead, #BLM squandered it by doubling down on its violent rhetoric against the police and further alienating many Americans. Wait until you get the facts, ma’am, before you make a judgment. The assassination of police officers began not long after these protests. Outraged Americans laid the blame at the feet of the Black Lives Matter movement. 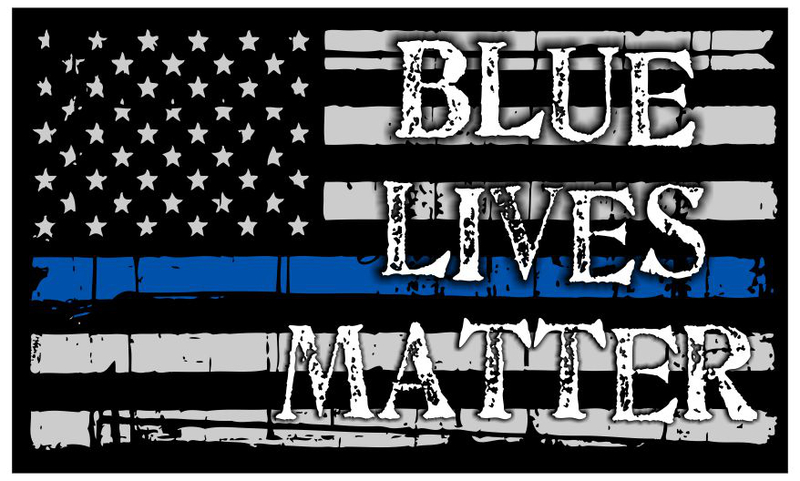 Many Americans reasoned that #BLM called for the death of police officers with their violent rhetoric and therefore must share the blame with the shooters. The failure to tone down their rhetoric and the failure to stop calling for the deaths of police officers doomed the Black Lives Matter movement. It is very unlikely that it will be considered a social activist group by law abiding Americans. #BLM will no doubt be considered a divisive, violent extremist group that bears the stigma of inciting racial unrest and murder. I dislike being the bearer of sad tidings, #BLM, but should your group fade from the scene, I doubt you’ll be missed. In conclusion, if you are a member of a social activism group and you have a cause to protest, don’t incite violence and killing. Get yourself a competent public relations consultant and take his advice. Image is everything, especially if you’re spouting hatred. Excellent post, Lana. The shame is you had to write it. Yes, there are problems between the police and blacks. Too many blacks have been killed when they did not pose a threat, but part of the blame for this falls on those criminals who have made law enforcement officials so nervous about their safety that it’s become a kill and ask questions later thought process. Something needs to be done, but blacks killing the police is not the answer.